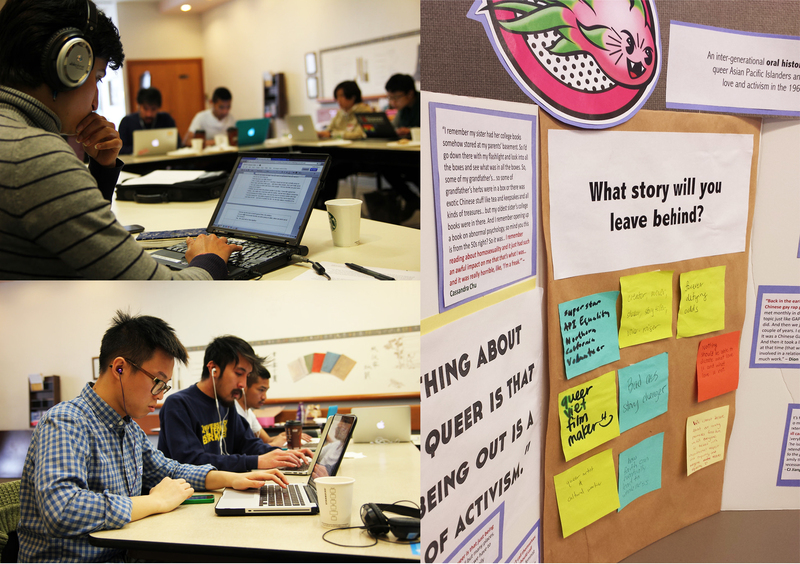 The Dragon Fruit Project is an intergenerational oral history project that explores queer Asian and Pacific Islanders and their experiences with love and activism in the 1960s, 70s, 80s, and 90s. In 2012, historian Amy Sueyoshi initiated The Dragon Fruit Project. She recognized that there is an abundance of lessons to learn from the older generations of LGBTQ API people, and yet their stories weren’t being recorded. We know the importance of capturing the histories of our community, and in 2013, API Equality – Northern California partnered with Amy to take the project to the next level. Dragon Fruit represents our efforts around cultural preservation, knowledge production, and dissemination. By uplifting our queer API community histories, we’re breaking through the silence that is a byproduct of systematic and institutionalized oppression. When community members engage with this work as interviewers, transcribers, cataloguers and archivists, we are actively resisting the systems that have isolated us from each other and keep us out of mainstream present-day and historical narratives. Not only are we active agents archiving our individual histories, we are also piecing together organizational, community, and movement histories that will contextualize our collective narrative. When we document our history we’re also laying the groundwork for future work.